General Knowledge questions on Indian GK for Bank PO, IBPS, Bank Clerical And Date wise 01-02-2018 questions for bank exams, very important computer-related questions for Bank PO, SBI PO, IBPS,RAS, IAS, UPSC, RPSC, 1st, 2nd, 3rd Grade Teacher, REET CTET, LDC, SSC CGL, IBPS, MBA, CAT, MAT, SBI-PO, RBI And Railway, Indian Army And all competitive Exams, and Most expected Computer Question Papers with answers. These Questions are most commonly asked in Other Banking Exam, And All subject Wise Notes and Math, Hindi, English, History, Political Science, Psychology, Sanskrit Related Study material. Question (1) what name is the eastern coast of India known? भारत का पूर्वी समुद्री तट किस नाम से जाना जाता है? Question (2)which hemisphere is India located? Question (3) India’s largest tunnel Jawahar Tunnel is located in which state? भारत की सबसे बड़ी सुरंग जवाहर सुरंग किस राज्य में अवस्थित है? 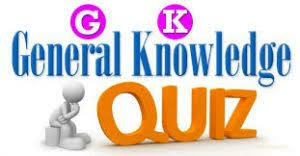 Question (4) Siachen Glacier is in which Indian state? Question (5) Which is the southernmost South Geographical unit of India? भारत की सुदूर दक्षिण भौगोलिक इकाई कौन-सी है? Question (6) India’s southern tip? भारत का दक्षिणी नोक है? Question (7) Which of the Indian cities is the most ex-and located? भारतीय नगरों में से कौन-सा एक सबसे अधिक पूर्व की और अवस्थित है? Question (8) How many states are connected to the coastline in India? भारत में कितने राज्य तट रेखा से लगे हैं? Question (9) What is the flat plain spread in the north of the sub-Himalayan region? उत्तर भारत में उप हिमालय क्षेत्र के सहारे फैले समतल मैदान को क्या कहा जाता है? Question (10) Which is the mountain situated on the northern boundary of India? भारत की उतरी सीमा पर स्थित पर्वत है?